Donald Trump could be witness in trial of Bowe Bergdahl. Army Sgt. 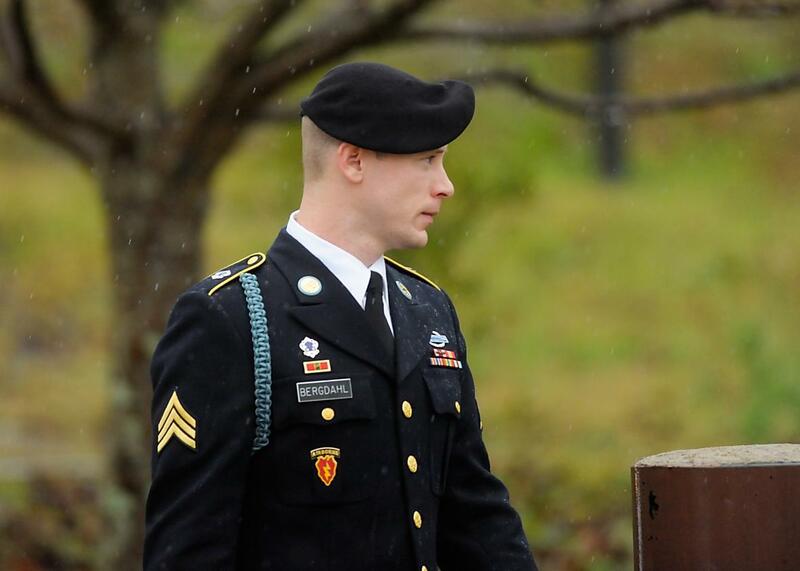 Bowe Bergdahl of Hailey, Idaho, leaves a military courthouse on December 22, 2015 in Ft. Bragg, North Carolina. Bowe Bergdahl’s defense team wants to meet with Donald Trump. In a letter, Bergdahl’s attorney requested an interview with the Republican frontrunner for the presidency in order to determine whether he should be deposed. Trump has repeatedly criticized Bergdahl on the campaign trail. In October, for example, Trump called Bergdahl a “traitor, a no-good traitor, who should have been executed.” The real estate mogul has also harshly criticized the United States for releasing Taliban prisoners in Guantanamo to secure Bergdahl’s 2014 release. Bergdahl is the subject of the second season of popular podcast Serial. In a letter sent to Trump on Saturday, Franklin D. Rosenblatt requests a sit-down of up to two hours with the candidate to discuss his client, who is facing military charges of desertion and misbehavior before the enemy. “I request to interview you as soon as possible about your comments about Sergeant Bergdahl during frequent appearances in front of large audiences in advance of his court-martial,” notes the letter. Bergdahl’s team had already made clear it was keeping tabs on Trump’s comments regarding their client, who spent five years in captivity after walking out of his outpost in Afghanistan in 2009. “There has been a pattern here that is so extensive that it has certainly raised in the mind of the defense team whether Sergeant Bergdahl’s right to a fair trial has been irreparably compromised by Mr. Trump’s comments,” a military law attorney who is defending Bergdahl told CNN in January.